Teachers know that one of the marks of a bright child is the size of his or her vocabulary. The definition of vocabulary is the knowledge of words and word meanings. Children with a larger vocabulary communicate better, read and write with greater understanding and radiate confidence in their learning ability. While much of a child’s vocabulary growth occurs naturally through listening to language, hearing stories read aloud, speaking with others and general immersion in the family’s native language, there are simple and fun ways to increase word knowledge. Incorporating word knowledge into reading time. When you’re reading a story to your child and come to a new word, take the time to expand on it, define it, and relate it to another word your child already knows. For instance when you come to the word “gigantic” you might say. “The egg was gigantic. That means it was really big. Can you think of some other gigantic things? A dinosaur maybe or that huge play structure at school?” Then give your child the opportunity to use the word in naming other gigantic things. Studies show that rereading books is another way to reinforce new vocabulary. Encourage them to read, read, read independently. Researchers say we learn from 5% to 15% of the words we know from our independent reading times. 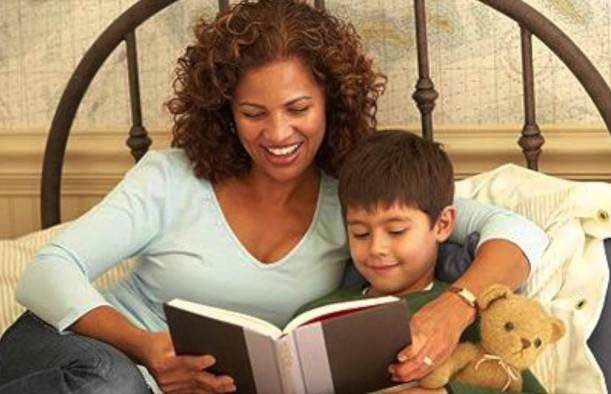 Children who read more develop a richer vocabulary. They’re exposed to genre words such as everything related to kings, queens and castles, or everything about the beaver and its habitat. They learn to understand the meaning of new words through the context of their story. Encourage readers to make note of words they don’t understand and keep a dictionary handy. Foster real discussion in your home. Make dinner time a time to share the stories of the day. Or take the time to talk about current events, while using some of the vocabulary related to that topic. Conversation is two way—with questions and responses. Children who engage in such discussion build their vocabularies and also learn the value of higher level interaction with language. Build “word consciousness” by playing word games that focus on meaning. You might play twenty questions which is a game of reasoning with words. “I’m thinking of an animal.” Then allow questions that can only be answered with yes or no. Or play a guessing game with a word clue. “I’m thinking of a word that starts with b and is something a monkey likes to eat.” You might take a word walk where you decide to walk outdoors and name everything you can find that begins with the letter “t”. Be sure to match the game to your child’s age and ability levels. A powerful tool for learning new vocabulary and for gaining meaning of words is studying Greek and Latin root words. There are many good study books on root words. It’s enlightening to know that all words with “ped” in them have something to do with feet and movement. Use computer technology to teach new vocabulary. Children love to play online games and there are excellent programs to increase vocabulary and have fun at the same time. Try pbskids.org/games/vocabulary or www.vocabulary.co.il.